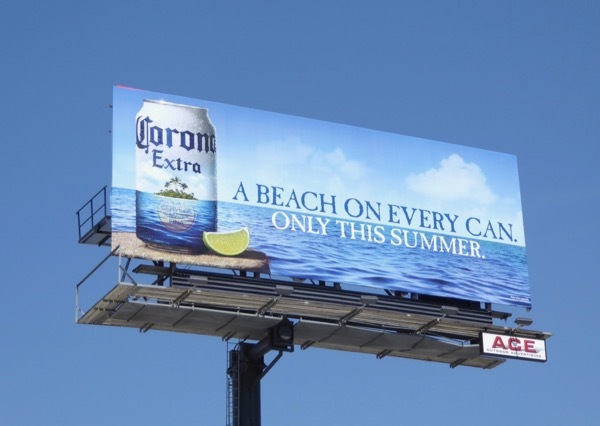 For the last few years Corona beer has been helping you 'Find your beach' with its outdoor advertising campaigns, and this summer it's taken its mission a step further. 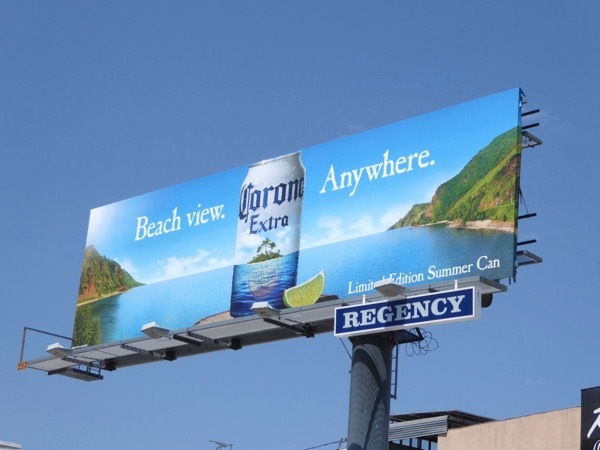 This summertime you could enjoy a beach view wherever you were with the help of Corona Extra's limited edition summer cans which feature a tropical view for your enjoyment, allowing you to dream of a relaxing vacation as you sip a refreshing cold brew. 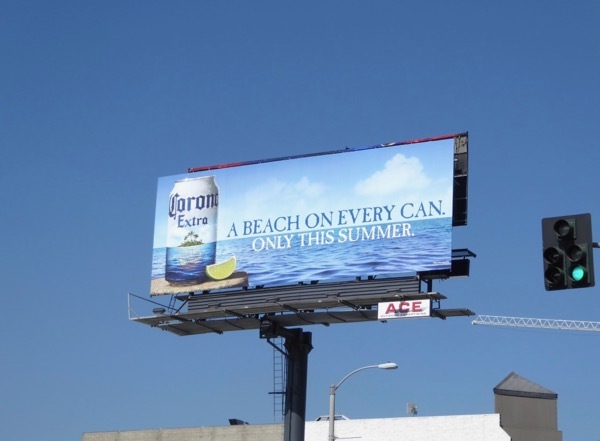 These limited edition 'Beach on every can' billboards were snapped along the Sunset Strip, Melrose Avenue, Vine Street and Pico Boulevard from May 22 to July 23, 2017. 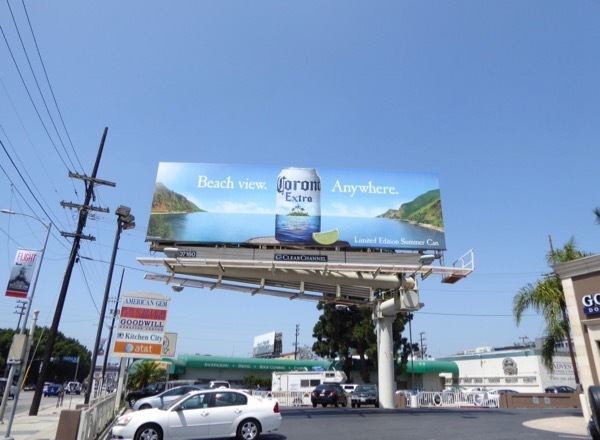 If you're a fan of the beer brand, make sure you check out all these other Corona billboards that have graced the city skyline in recent times. 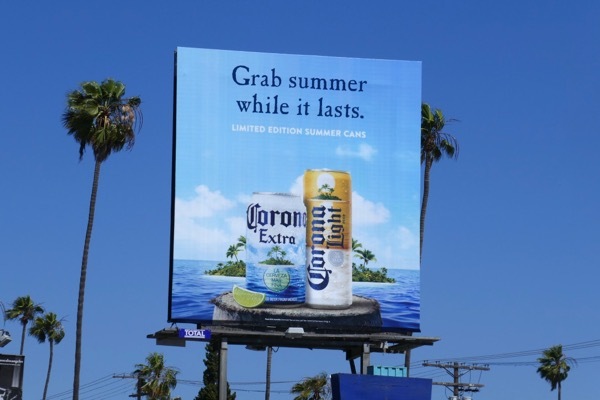 Meanwhile as a bonus billboard this Corona Extra and Corona Light bottle ad creative was spotted along Santa Monica Boulevard in West Hollywood's Boys Town gaybourhood on July 26, 2017. 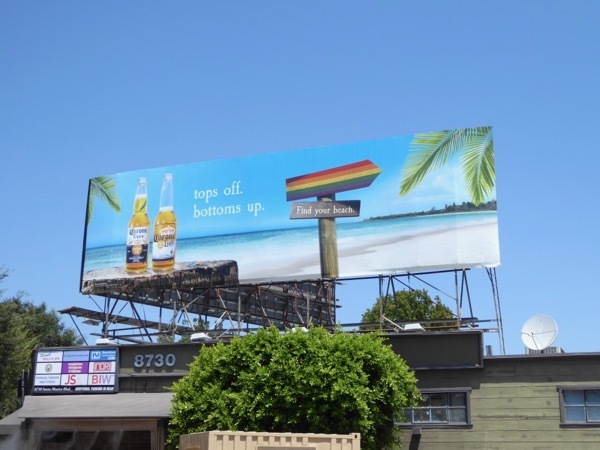 A little late to the party for Pride month in June, but its message of equality and inclusivity is appreciated nonetheless. 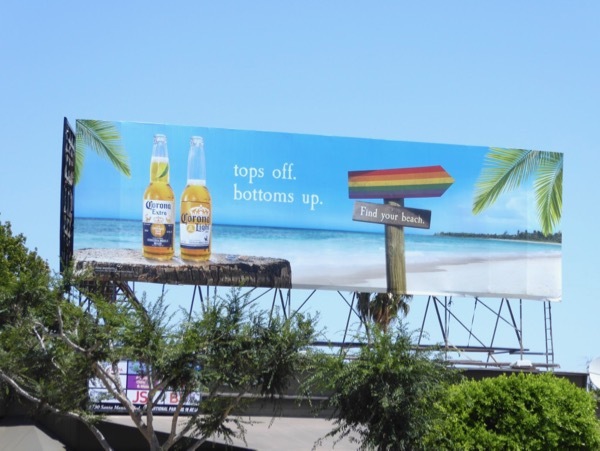 Bottoms up and have a great weekend. 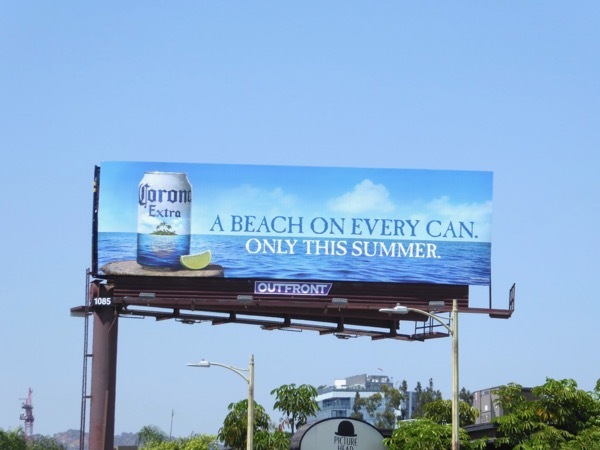 UPDATED: It looks like the limited edition summer can is back for Corona beer this year, and it looks like Extra and Light variants will get a tropical beach makeover, if this billboard photographed along Pico Boulevard on June 25, 2018, is anything to go by.